The Law Offices of Willie R. Brooks, Jr., PLLC take a personal interest in your case, and represents you assertively in court. We’re in your corner. We believe that people who sustain injuries on the job should receive full recompense, and we will fight for it. Immigration issues can be confusing and are often complicated by language barriers. Brooks & Associates has the expertise – and the language capabilities – to pave the way to a solution. If you’ve been injured in a vehicle-related accident, you may be entitled to compensation. Let us make sure you receive what is due you, including recovery of lost wages, payment of medical expenses and recompense for pain and suffering. Tell us about your case below, and receive a free consultation. Your battle is our fight. We at The Law Offices of Willie R. Brooks, Jr. PLLC are dedicated lawyers practicing law to assist our clients and guide them through the complex waters of the legal system. We value your trust and will work tirelessly to deserve it. Why should you choose the Law Offices of Willie R. Brooks, Jr. PLLC to handle your legal case? The attorneys have over fifty years of combined legal expertise to serve you. Attorney Willie Brooks is an expert in Personal Injury and Workers’ Compensation law. He is a proficient negotiator and has had great success on behalf of his clients in these types of cases. 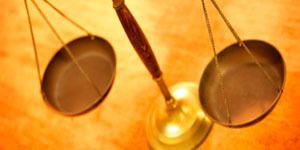 The attorneys are experts in criminal law, with extensive courtroom and trial experience. Attorney Willie Brooks is a member of the American Immigration Lawyers Association and is committed to helping people of all nationalities achieve the American dream. We care! We are staunch advocates and will always put our clients first. We will pursue all possible legal avenues to assist you. We have been a reliable part of the legal community for over thirty years. We have a thorough understanding of the law. We are well-seasoned and highly trained. We bring compassion, experience and knowledge to our clients. Please take a few minutes to learn about our firm. Let us know how we can serve you. It would be our honor to work for you.